Excel and VBE is perfectly integrated to automatically help you out. 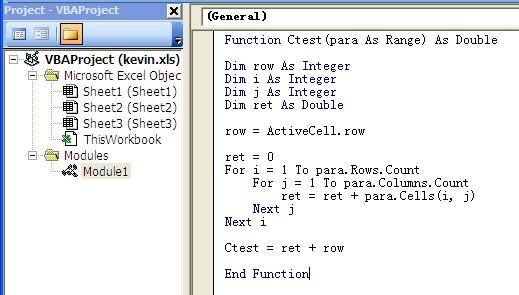 Here is one of the excel sum() function extension with row() number counted in. This can be referred to implement further Macro or Function in excel.